We would love you to join us for the debut concert of the New Room community choir, singing a range of pop and gospel songs. 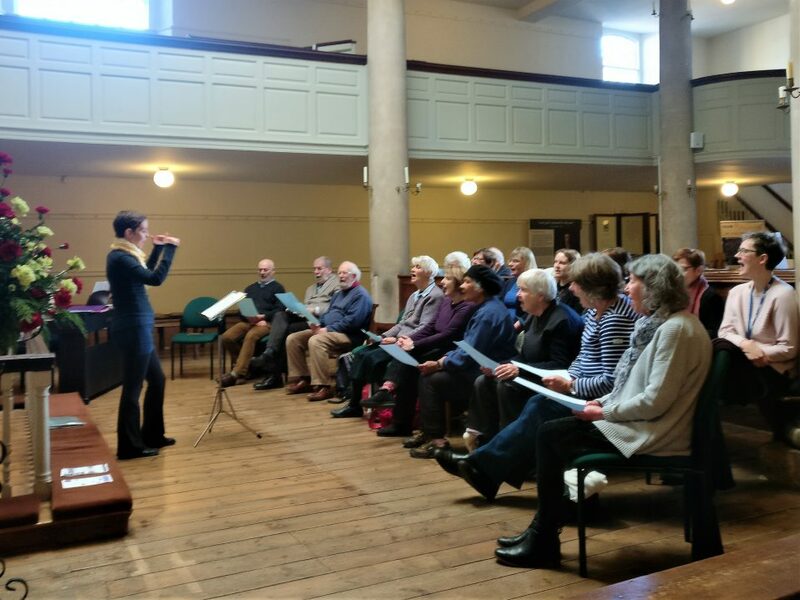 The New Room community choir started in January 2018 and is run by Rose and Judit. Combining their joint experience in singing and music therapy, our weekly lunchtime rehearsals are animated and friendly – and all are welcome to take part. Join us to hear what we’ve been working on all this term. Concert is free with a retiring collection. The choir is completely free, non-auditioned and there is no need for prior choir experience or music reading. We rehearse during school term time 12.15-1pm on Wednesdays in the chapel. If you would like to know more, please visit our webpage or email community@newroombristol.org.uk.